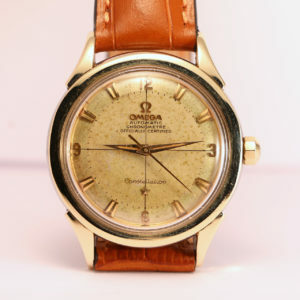 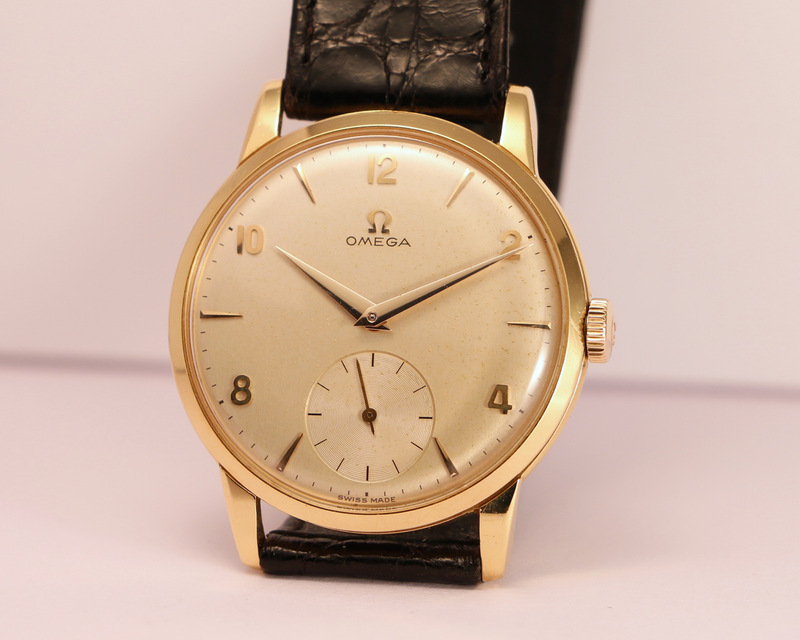 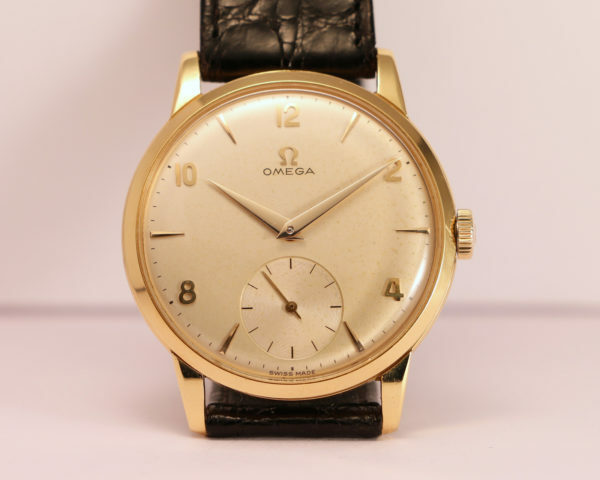 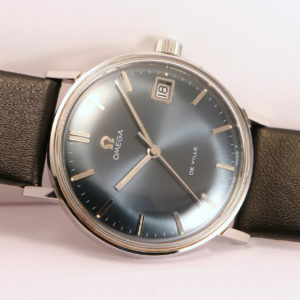 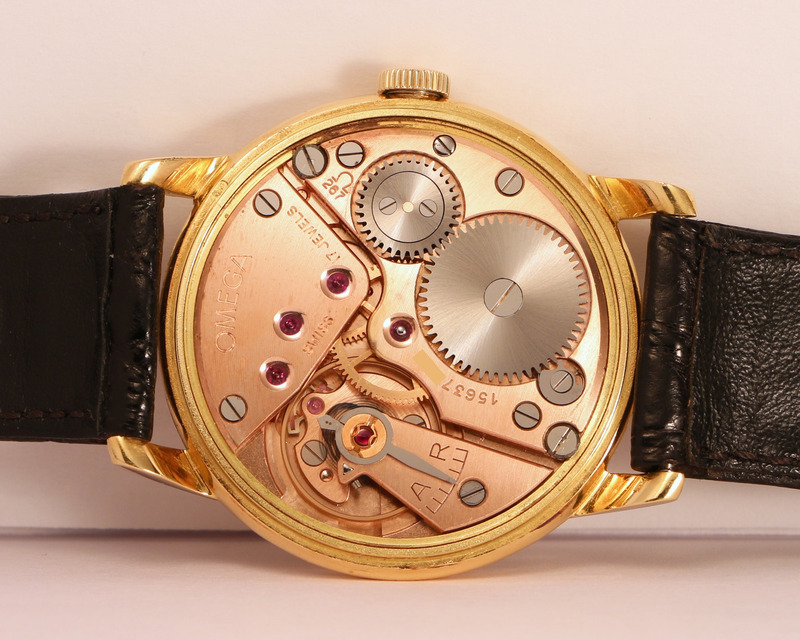 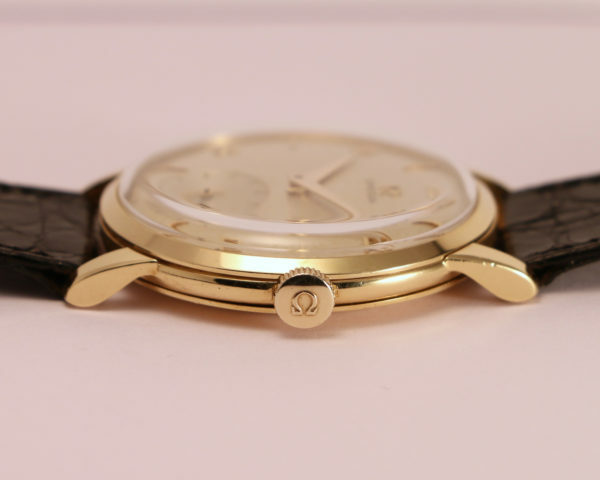 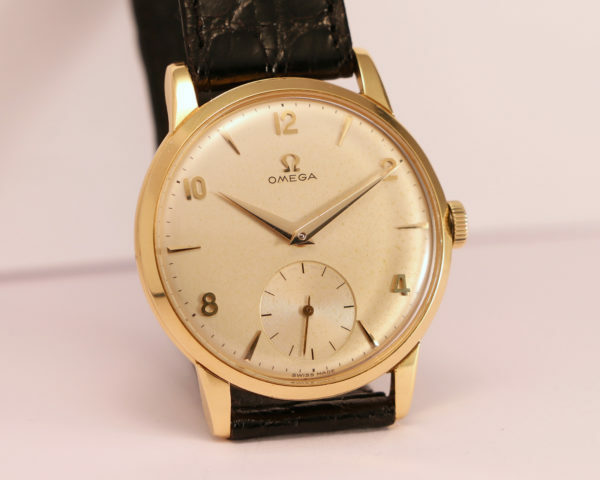 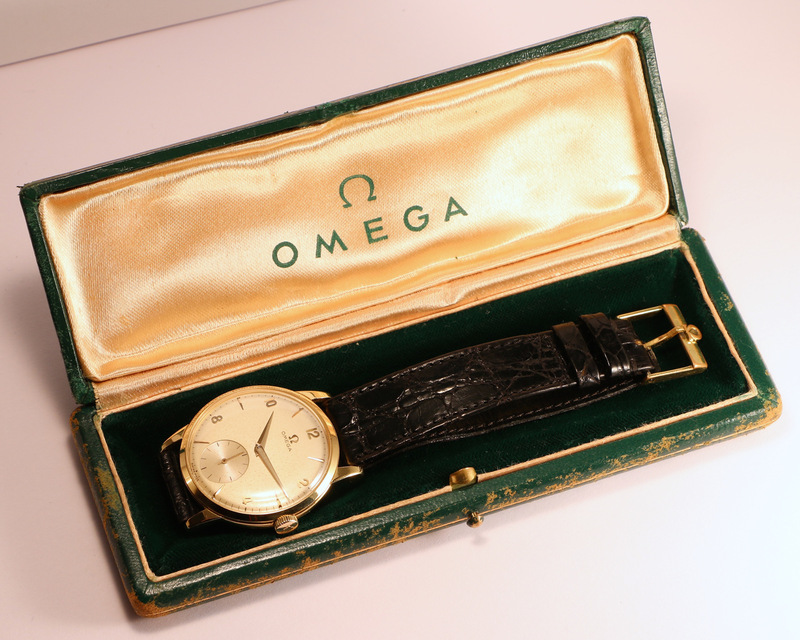 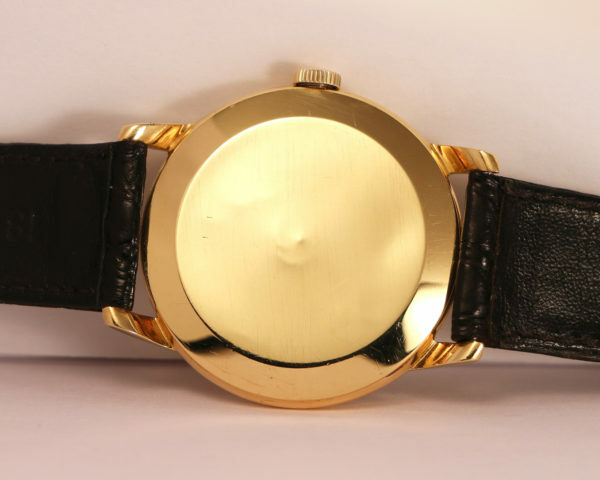 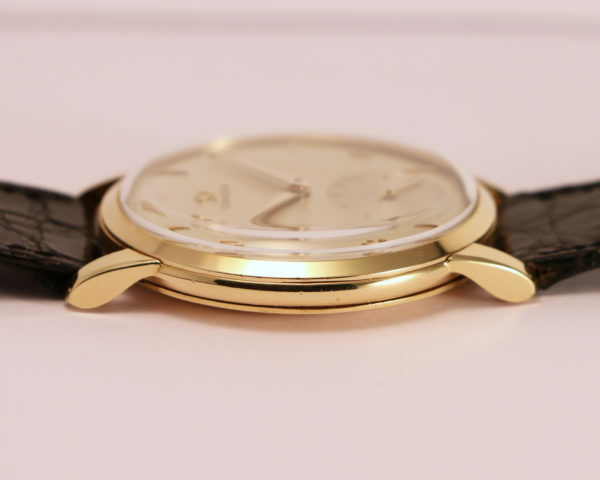 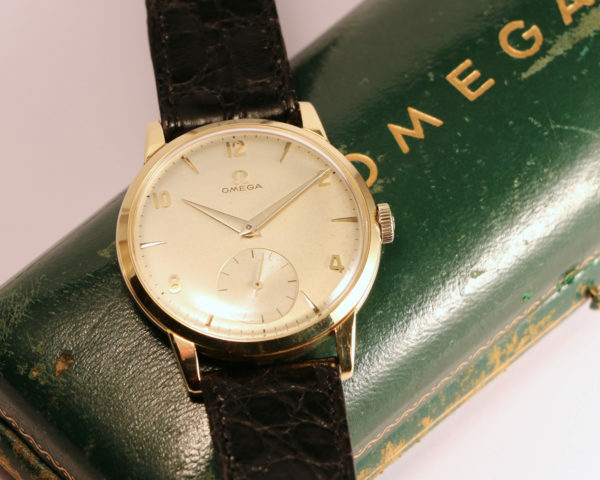 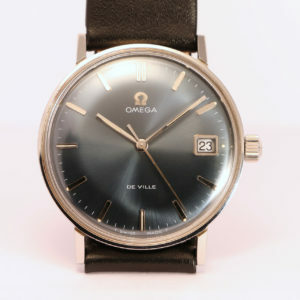 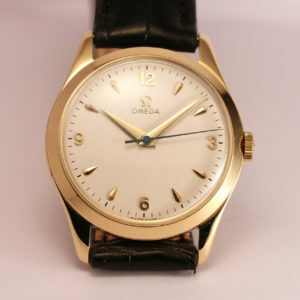 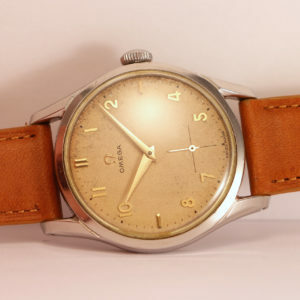 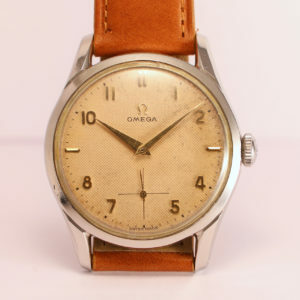 Very nice yellow gold Omega 30T2 ref. 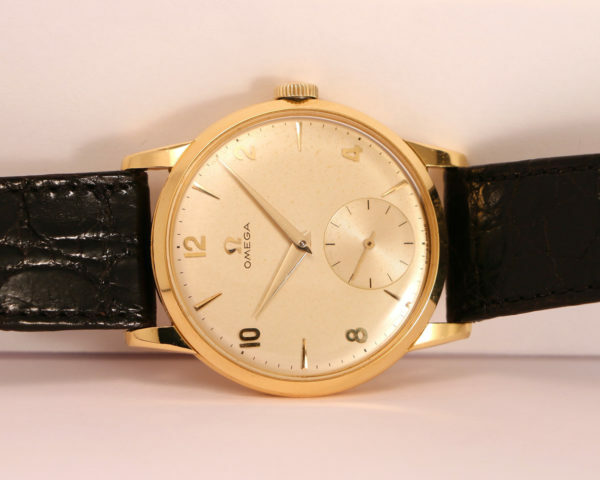 2894 with original box. 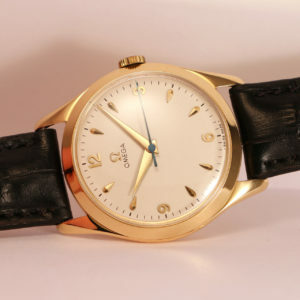 Gold hour/minute hands, small second at 6 o’clock. 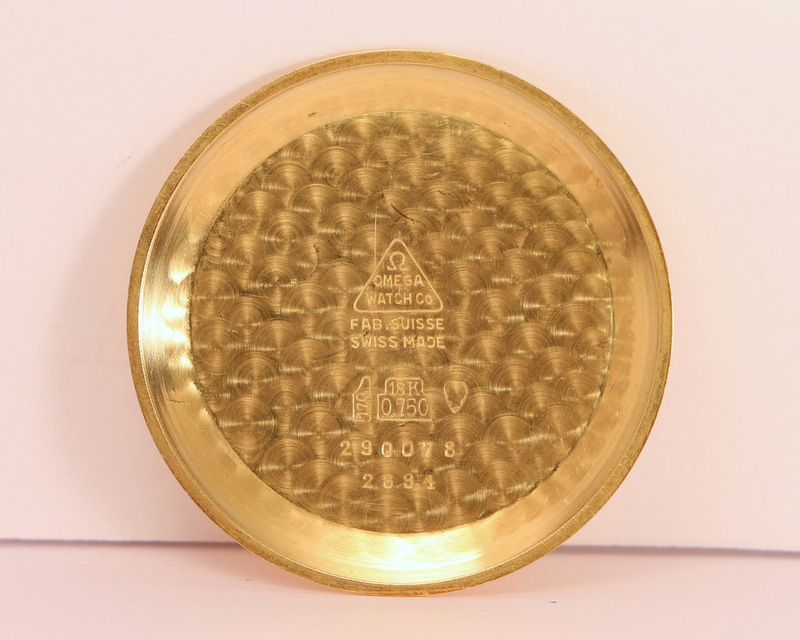 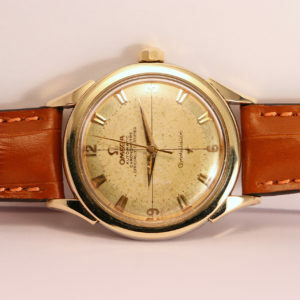 Cream dial in very good original condition with a nice patina. 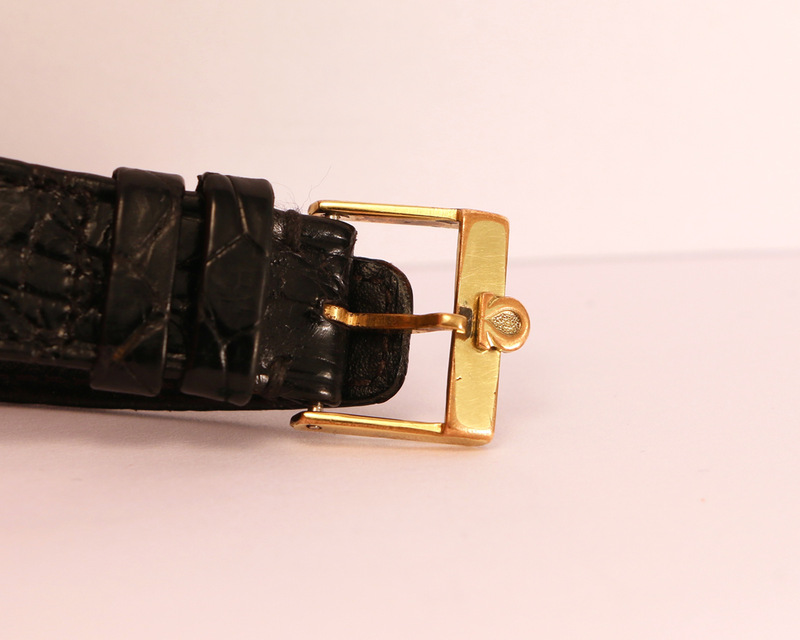 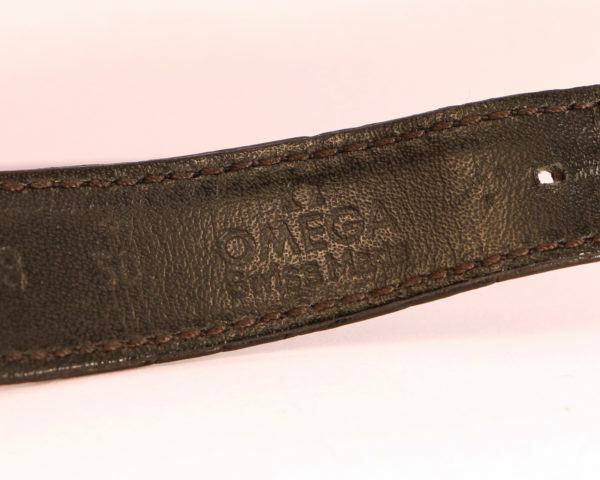 Alligator bracelet and barb buckle signed Omega. 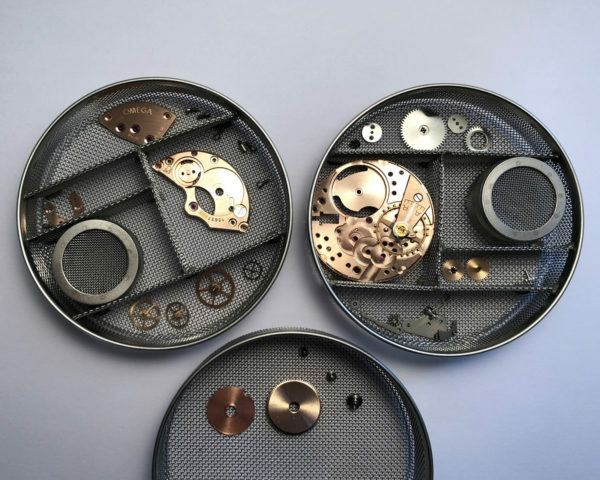 The movement has been fully serviced.